At Hypermaus, we build an Artificial Intelligence SaaS to optimize User Interfaces. To be a bit more precise, we provide a single line of JS that automatically improves critical KPIs of your website. In the long run, we want to be able to provide Artificial Customers on a global scale. While we are still quite young (8 weeks on this iteration), we identified 3 incredibly worthwhile services that facilitate our daily routine tremendously. Together, they build a lean funnel to quickly identify markets, look for users of tools, and send them to your own product. If we run into a problem, let’s say we want to build a Dashboard, we always do some rudimentary market analysis. Siftery does a great job on collecting services, letting you know how popular they are, and categorizing them in a sound way. So essentially, if you found a tool and are not sure whether it is a good choice, you can check the relevant market for competitors. 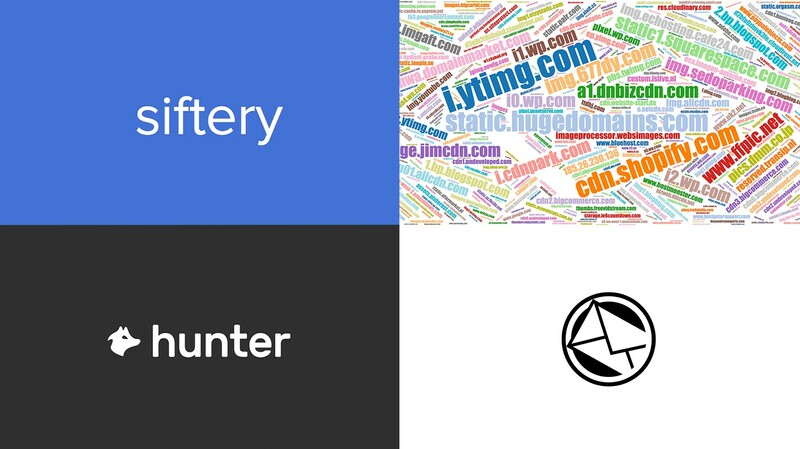 Let alone, the categorization of Siftery provides a great deal of insight into the web service space. Secret: It’s also a tremendous help for your own positioning. Bonus: http://www.builtwith.com is great to duedil the technology if you are pitching a customer. Bonus 2: http://www.spyfu.com is originally a keyword research tool, but helped us also quite a bit on competition analysis. Another indispensable tool for our daily work is publicwww. Roughly said, it is Google for Web source code. So given you are able to identify code patterns of target customers using specific tools (e.g. your customers also use Google Analytics), you can easily get a CSV of all domains that spot the pattern. Bonus: You can go berserk with regex. Do not forget, if you have a problem, and use regex, you have two problems. Part 3 of our funnel right now is simply to put the results of publicwww in an lead resolution tool. Given a URI, the service quite often has a bunch of personal contacts. At this point, I advise to be very selective about whom you mail. This one is not really a secret. Services like Mailchimp are quite popular. You could also run your own Python based mail distro service on AWS SES. I would look extremely forward to hear your feedback! What services do you use? Did you automate the funnel? What are critical points to raise performance? Co-founder and Strategy Lead, Hypermaus. AI and Deep Learning startups. Thoughts on Artificial Intelligence in Ecommerce — by the founders of Free Machines.